AMD was very clear about their intentions for the APU design when they first announced a new socket for these chips. The price, design, platform, and highlight features were all clearly targeted at the entry-level and mid-range markets. The only question I had was what did AMD consider to be mid-range? The difference in performance for a mid-range AMD graphics card and an entry level one is huge. Lets find out if the same can be said of the Lynx platform when paired with the top of its class F1A75-V EVO from ASUS. 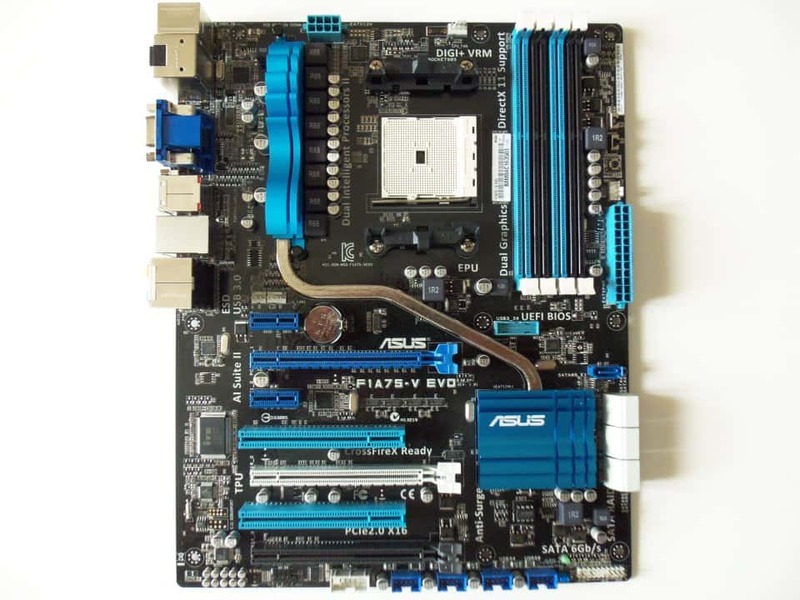 This top end FM1 board from ASUS still uses the A75 FCH (Hudson-D3) chipset like the previously reviewed GIGABYTE GA-A75M UD2H. You can find the details about the platform design on the first page of that review. 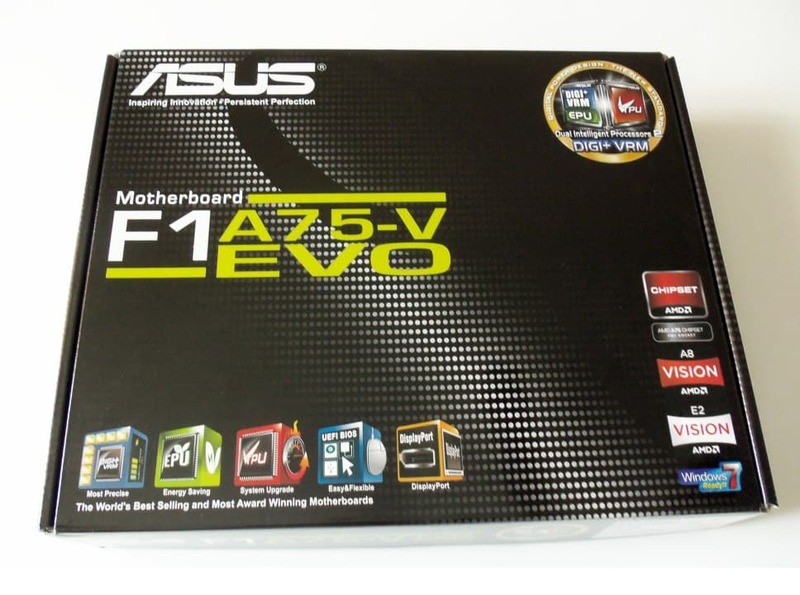 However, the ASUS F1A75-V EVO is a full sized ATX motherboard that not only has all the bells and whistles, but also, benefits from additional tweaks and tunings that the company is known for. This FM1 socket motherboard comes with four DDR3 slots that support up to 64 GBs of DDR3 memory at up to 1866 MHz (2250 MHz OC). As we found out in the past, the overclocking headroom of the memory benefits the graphics performance on this platform. 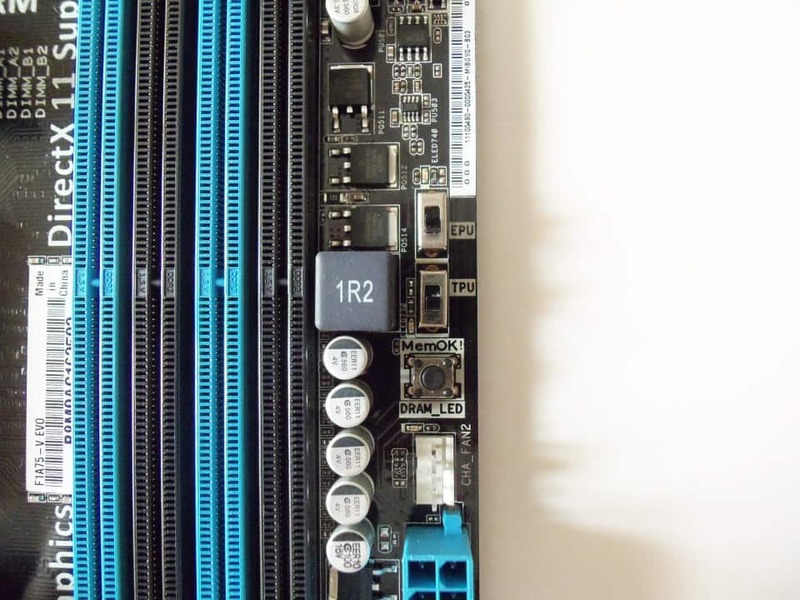 In terms of connectivity, there are a total of 7 SATA ports with 6 SATA ports from the A75 FCH which support RAID 1,0, and JBOD. The additional port is provided by an ASMedia PCIe SATA controller chip that powers one additional SATA header and 1 eSATA ports on the back I/O. ASMedia is actually a division of ASUS that designs these chips and you'll find them on many products including drive enclosures from many different manufacturers. The F1A75-V EVO also has four USB 2.0 headers for a total of 8 USB 2.0 ports and one USB 3.0 header for two additional USB 3.0 ports (from the front I/O panel). 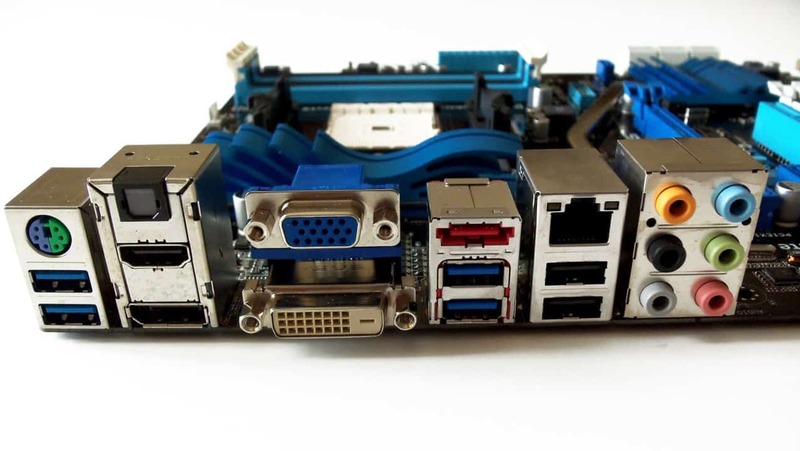 To finalize the expandability you will find three PCIe x16 slots with two being at full x16 PCIe 2.0 speed (single x16 or dual x8 AMD CrossfireX). The final PCIe x16 slot is at x4 speed. You then have 2 PCIe 2.0 x1 slots and 2 PCI slots. All of this is provided by the A75 FCH. The back panel I/O of this board is a veritable swiss army knife. The ASUS F1A75-V EVO has DisplayPort, HDMI, VGA, and DVI-D for the fully array of display output options and support for multiple monitors. There are four USB 3.0 ports (two from the A75 FCH and two from an ASMedia USB 3.0 controller), two USB 2.0 ports, one 6 Gb/s eSATA port, optical S/PDIF output, 1 Gigabit Ethernet port, and 6 audio ports powered by the Realtek ALC892 8 channel HD audio codec. ASUS carried the versatility they seem to aiming for into the features as well. The F1A75-V EVO has a set of mechanical switchs for TPU and EPU power modes. These switch give you control over the Dual Intelligent Processors 2 with DIGI+ VRM to tune your PC for performance or energy efficiency. To complete this package you get the ASUS UEFI graphical BIOS, AI Suite II, MemOK!, C.P.R. (CPU Parameter Recall), and Anti-Surge Protection. This software package will help tune and tweak everything about your system to work the way you want. It is rare, but I am actually quite impressed with the actually box that holds the F1 A75-V EVO motherboard. It uses a mesh under-layer to add texture to the otherwise flat black box. Then on top of that, every letter and icon is drawn in a bright color to bring attention to the features of the product inside. This is especially true of the back of the box which gives a general overview of each of the major ASUS features instead of just listing them in a checkbox. This is a good move considering that this board may end up in the hands of many entry level or first time buyers. Inside the box you will find the bare essentials for installing most motherboards. This includes the rear I/O plate, driver install CD, user manual and a "Powered by ASUS" case badge to complete your build. You will also find two of the black/white SATA cables which is a little disappointing considering that this motherboard that has 7 SATA ports. You also get the ASUS Q-connector which turns a handful of case plugs into a single plug which is easily my favorite accessory from ASUS. It turns the most annoying parts of a PC build into something easy. There is also a Q-connector for USB which I find to be completely pointless with most front panel connectors these days. However, it may prove useful if the case you are choosing is on the budget side of the spectrum, and the manufacturer has not chosen to bundles the USB connectors in the correct orientation. 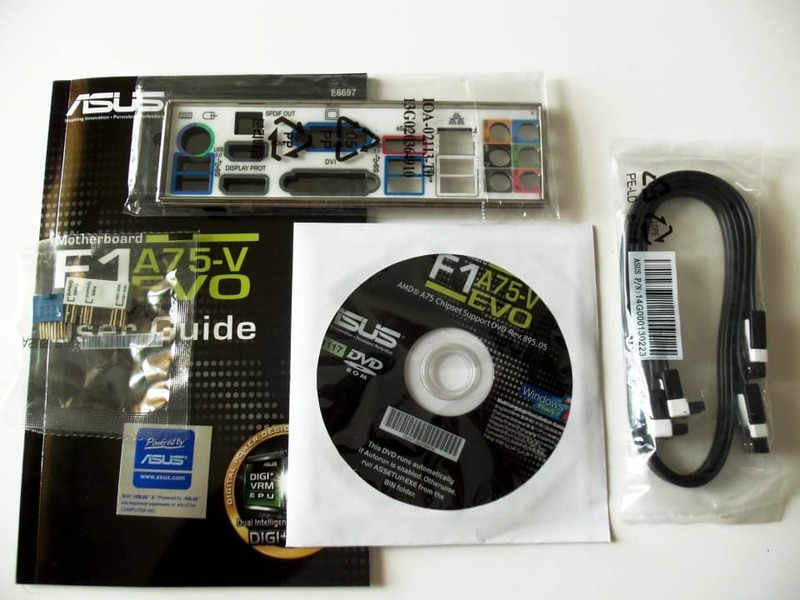 With a $139.99 MSRP I think the total package for the ASUS F1A75-V EVO is an above average bundle. Its time to find out if the AMD Lynx Platform is worth building a full sized desktop with, or something that should be limited to micro ATX only. Let's start putting together a test system to test out all these great features. Did You Go To LANcouver 2012? 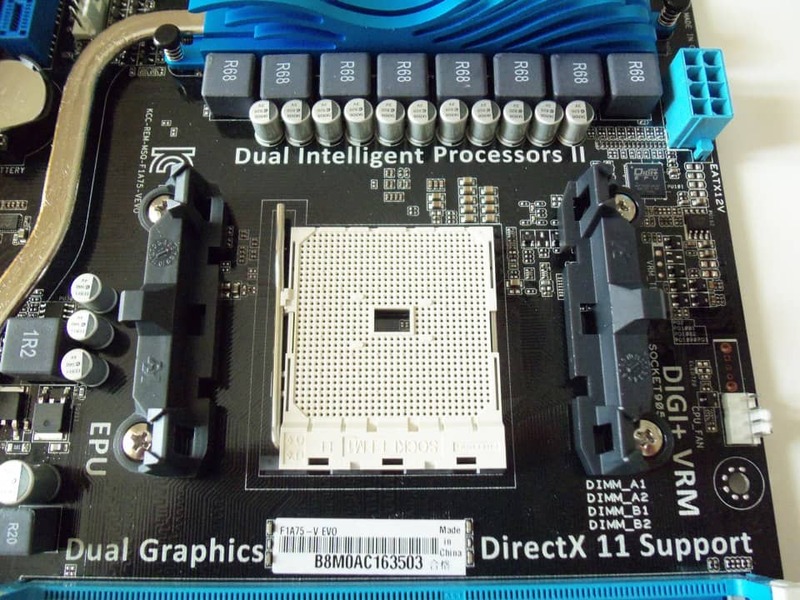 Survey Says It Could Win You a GIGABYTE G1.Sniper M3 Motherboard!